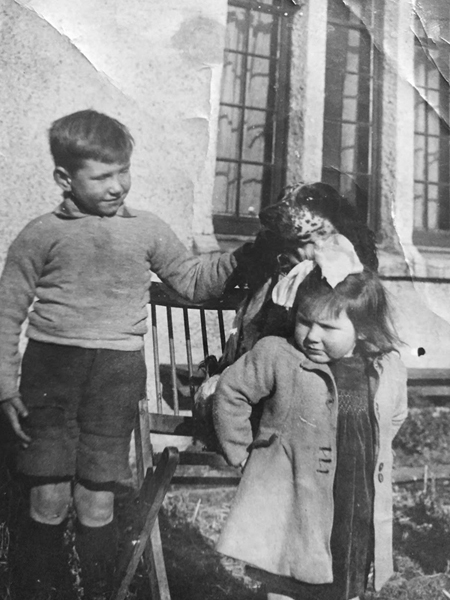 My mam Kathleen and uncle Don Ross at the back of our house in Outram Street. The picture was taken sometime in the 1950s. They were a nice family, Elaine. I lived right next door to them in number 3 Outram St, they were number 4.